In a world saturated with technology and video games, it’s important our children keep learning, developing a thirst for knowledge and a sense of curiosity. Did you know that the English language is consists of about 250,000 words? Did you know that the peregrine falcon can fly as fast as 320kmph? Did you know that Australian Aboriginal rock art dates back more than 30,000 years? WOW! 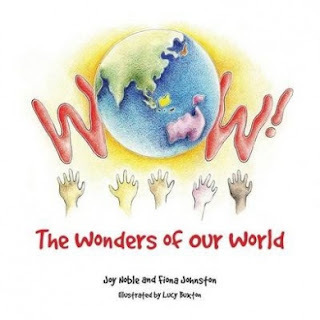 The Wonders of Our World not only has these answers, but this new children’s picture book provides a mixed bag of more fun and informative facts to get children thinking about the world around them. From how technology has changed the world, to how the human body works, the power of music, to who invented penicillin, the construction of ancient building and so much more, WOW! The Wonders of Our World encourages children to reflect, to learn, to grow and not take things for granted. WOW! The Wonders of Our World is a great summer holiday companion designed to keep children thinking and learning. What more could a parent ask for?